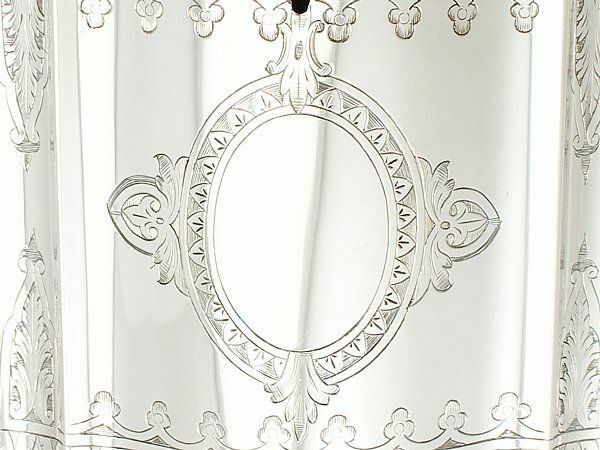 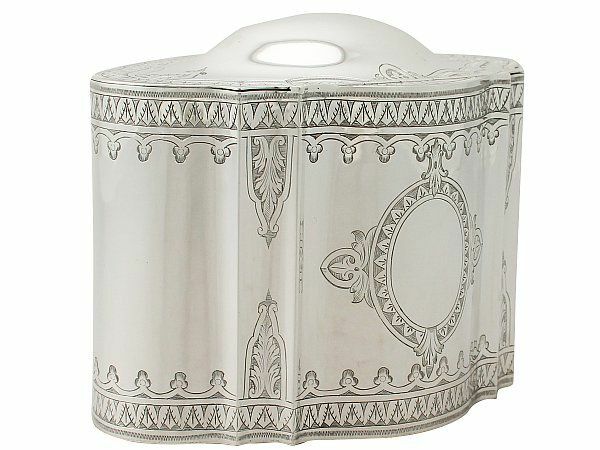 This exceptional antique Victorian sterling silver tea caddy has an oval shaped form. 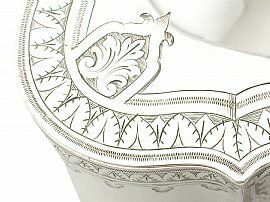 The upper and lower portions of the body are encompassed with impressive bright cut engraved broad overlapping leaf decorated borders accented with a band of scallop and trefoil ornamentation in addition to protruding stylised leaf designs to the incurves of the body. 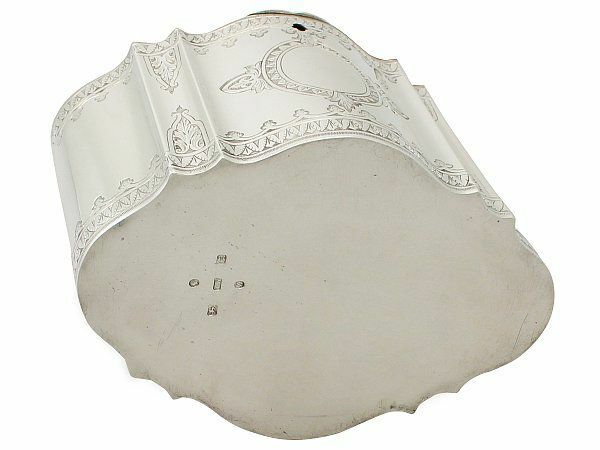 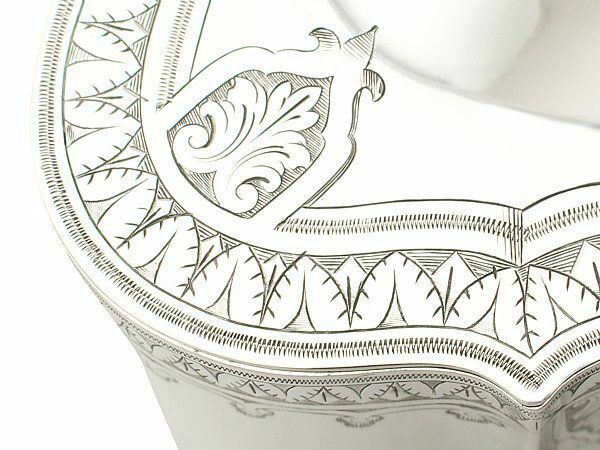 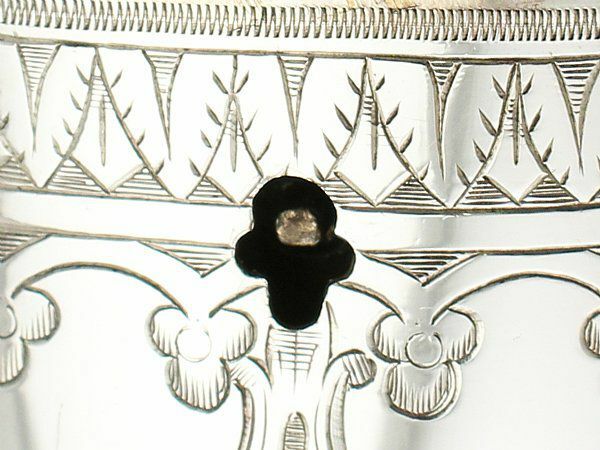 The body of this large silver tea caddy is further ornamented with a bright cut engraved leaf bordered oval vacant cartouche to either side. 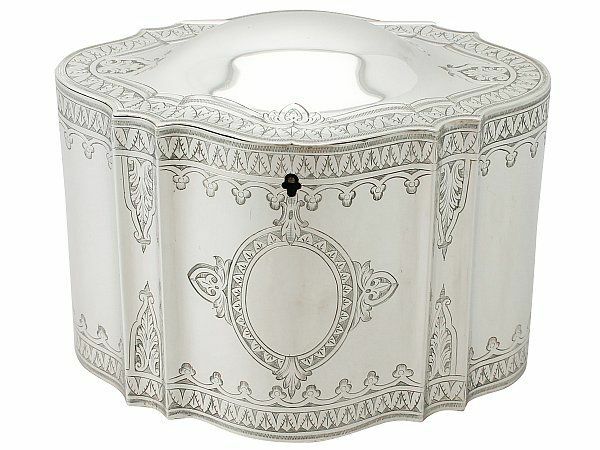 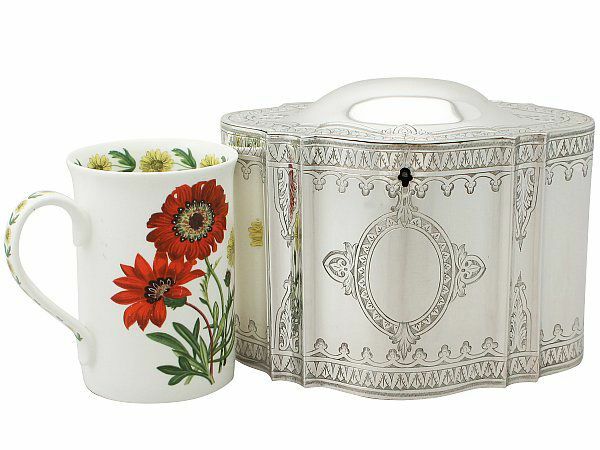 This tea caddy retains the original hallmarked hinged cover which is encompassed with an identical bright cut engraved layered leaf border to that of the body. The caddy is fitted with the original locking mechanism; the lock is not operational. 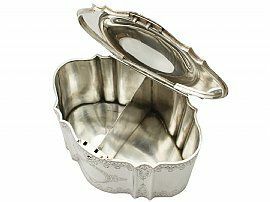 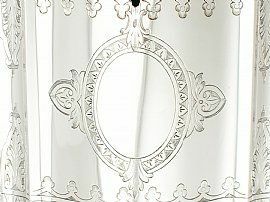 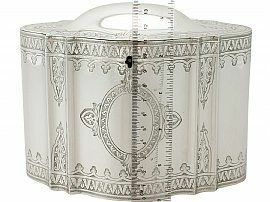 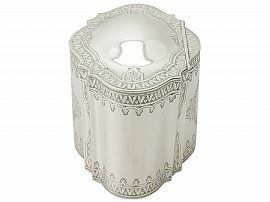 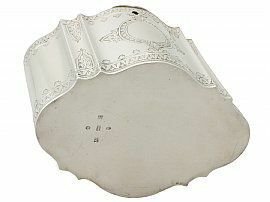 This impressive antique Victorian caddy retains the original internal divider, as to be expected with such a large caddy. This large silver tea caddy is an exceptional gauge of silver, exceptional quality and in exceptional condition. 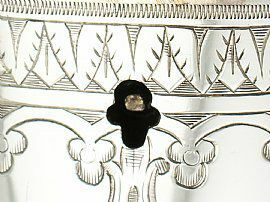 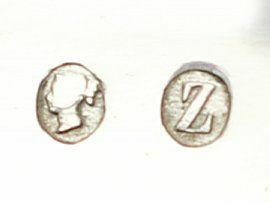 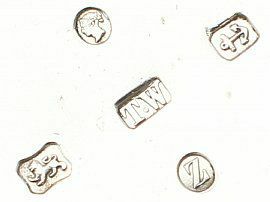 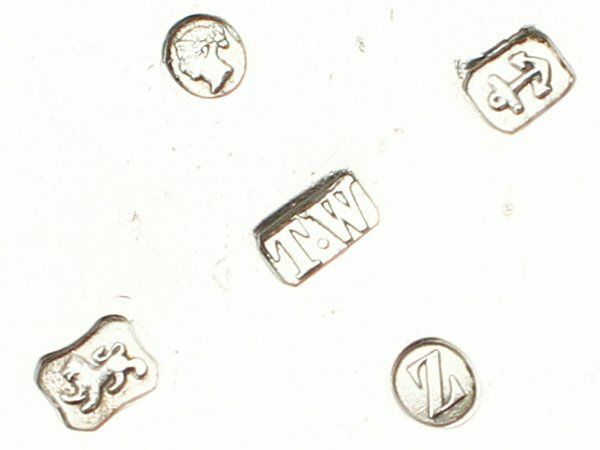 Full hallmarks struck to the underside of the caddy and part hallmarks to the interior of the cover are all very clear.